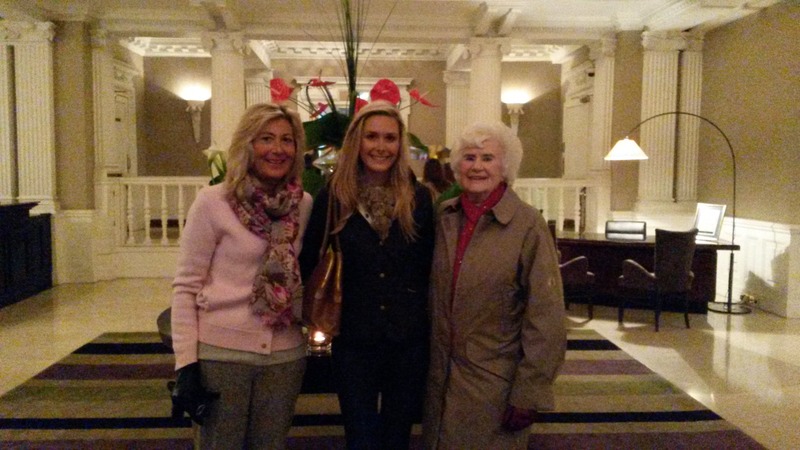 Using vouchers she got for Christmas, my Gran recently treated my Mum and me to afternoon tea at The Balmoral Hotel in Edinburgh. The Balmoral is instantly recognisable with its dramatic stonework and talk clock tower. It sits on the corner of Princes Street and North Bridge with a fantastic 360 view on Edinburgh, talking in everything from Calton Hill to Princes Street gardens, up to the castle and over the bridges to the old town. It’s a haven for tourists visiting Edinburgh. The grandeur of the hotel gives a fantastic first impression of the history of our capital city. 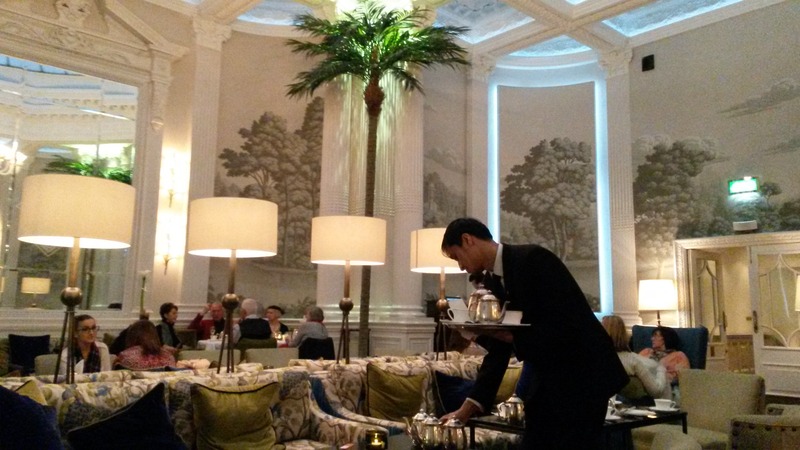 Afternoon tea is served in the impressive Palm Court. 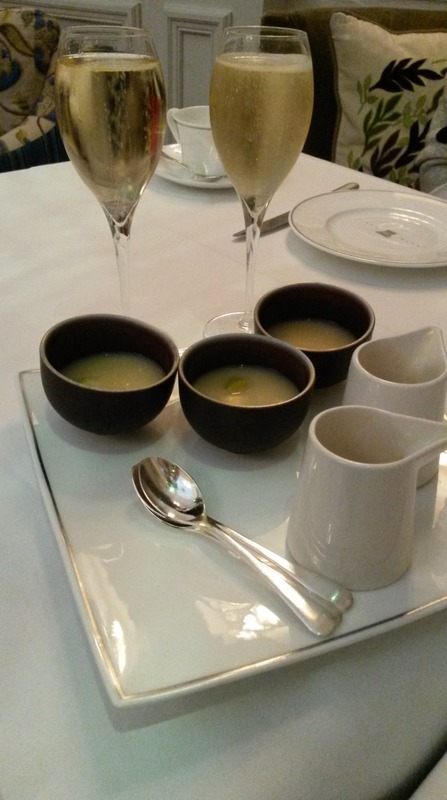 Once our drinks (Bollinger champagne, we were after all ladies who lunch) and tea (earl grey all round) orders had been taken, we were offered a taste of pear and apple soup to start. The soup was delicious and not something I have been offered with afternoon tea before. The first tier arrived and we tucked in. A cheese twist on top, crusty bread with coronation chicken and a ham wrap on the second plate and cucumber, smoked salmon and egg mayonnaise fingers on the bottom. 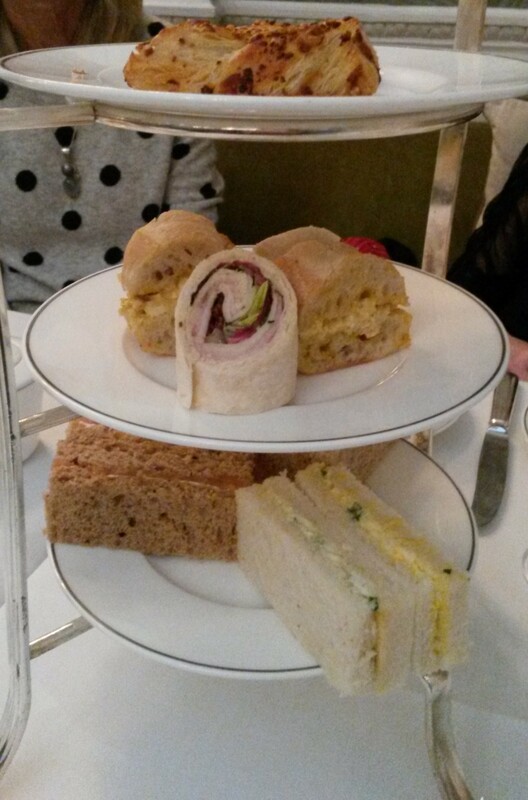 All were delicious, and I particularly enjoyed the coronation chicken – a favourite with the tourists I imagine! The sweet tiers did not disappoint either. 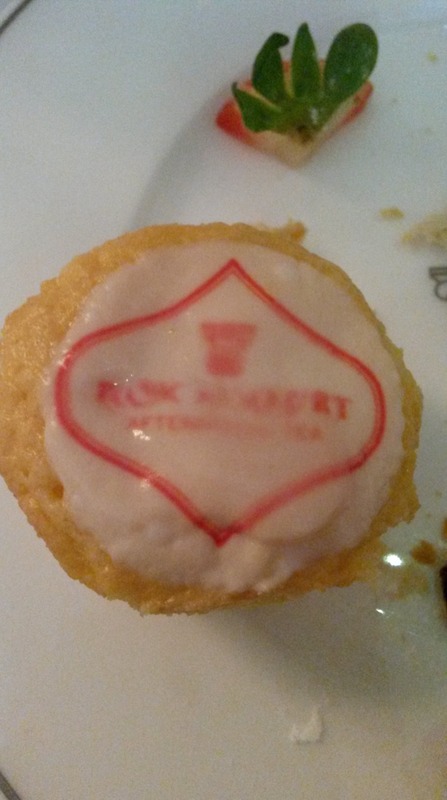 A plum and ginger compote on the top plate got my vote, and we also enjoyed little lemon tarts with the Palm Court emblem printed on them – a nice touch. A walnut and chocolate brownie along with Scottish jams and freshly baked scones completed the sweet tiers. On leaving we were given Palm Court tea leaves and I look forward to trying these at home. 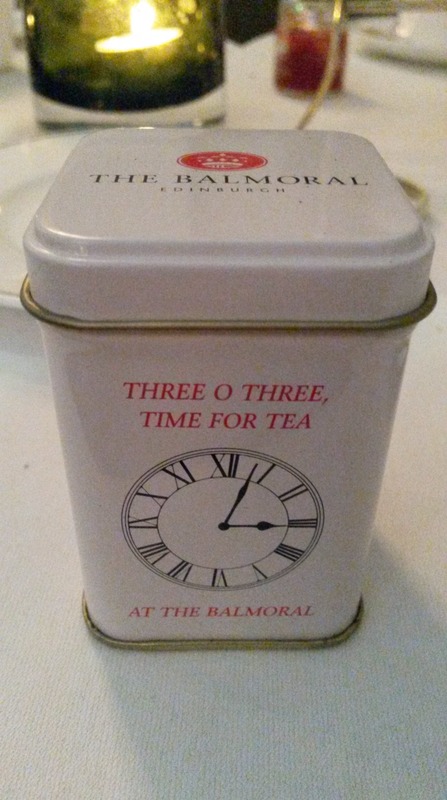 Champagne afternoon tea at the Balmoral comes in at £42 per person, or £27 without fizz. It’s more expensive than other afternoon teas in Edinburgh, of which there are many, and I reckon you are paying for the location and ambience more than anything else. 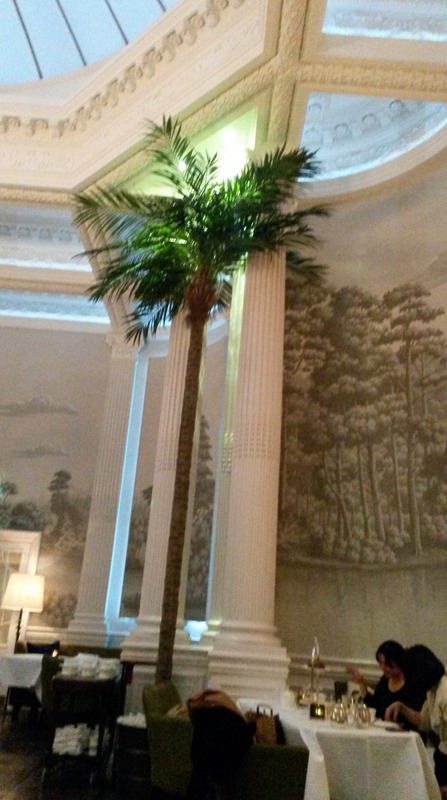 The palm court is a stunning setting and throughout the afternoon it felt like a special occasion. Other places I can vouch for if you are looking for afternoon tea in Edinburgh include The George Hotel and Eteaket, both very central, or Missoni Hotel over in the old town. On my list to visit for afternoon tea in Edinburgh is Mimis Bakehouse and The Sheraton, both of which I have heard are lovely.